You know, when someone starts off like that with me, it’s really a lose-lose conversation. As I said, she’s just an acquaintance. She doesn’t know the daily ins and outs I deal with. In fact, no one really does (she doesn’t know me well enough to ask, but had she asked, I would have told her.) She droned on about, “People who get disability get worse” and blah blah blahhhhhh. To be honest, I had already tuned her out. But, do you see where I am going with this? Do you think I love worrying about bankruptcy every moment of my day? Do you think it’s fun not having money to buy my basic needs (clothing, toiletries, etc.)? Do you really think I am home eating bon-bons watching daytime TV? Just because I can walk doesn’t mean I am not dizzy, in pain, managing a migraine, trying to concentrate and focus on what you’re saying to me, etc. So, this post is just to get all this crap out of my head so that hopefully I can sleep tonight. Welp. I don’t sleep any other night, so why would tonight be any different? I can’t work, I can’t understand and process things as quickly as I used to, etc. etc. etc. ALSO, DO YOU KNOW THAT I CANNOT EVEN GET AN INTERVIEW FOR TARGET?! One needs money in order to survive in this world! I am a good person! I have a degree! What the hell is wrong with me and what I am I supposed to do now? Sell my body on a street corner to make ends meet? I’m trying to avoid bankruptcy at all costs. Will you help please? I created this teespring store to raise money for my living expenses plus to raise awareness for Cowden Syndrome and Lhermitte-duclos Disease. Take a look at the new shirt I created just now! PS…if you know anyone that creates artwork or is willing to donate their time to help me create more shirts, please contact me! Thanks! 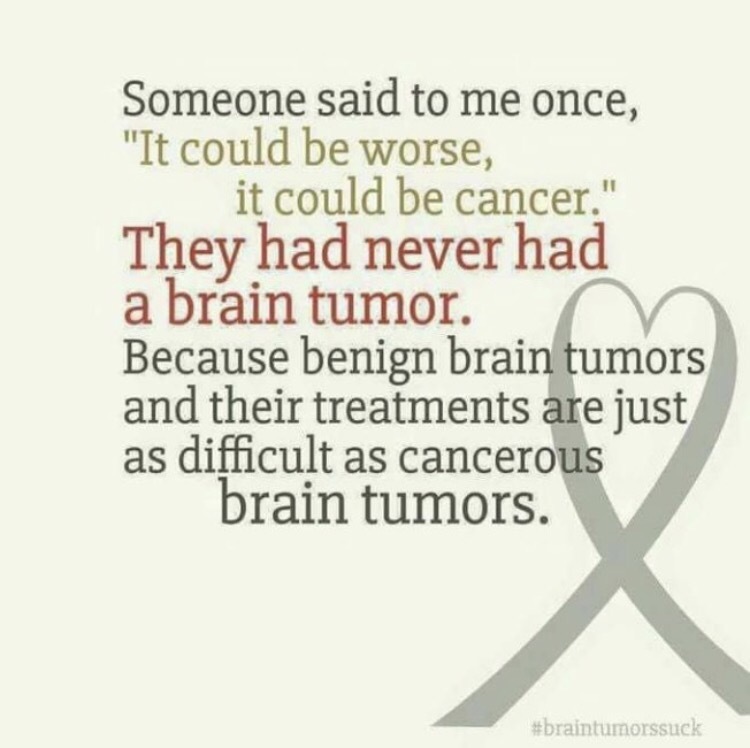 You may think getting diagnosed with 2 brain tumors and a hereditary cancer syndrome is bad? Try getting denied for disability. I try really hard to be brave. I really try hard to be strong. You cannot survive without money. What is the point anymore? Approval would have helped me avoid filing bankruptcy. That’s now next on my to-do list. Every time I think about it I begin to cry. Every thing I am feeling and thinking now is exactly what I feared would happen.